You can register multiple domain names through Obior. This guide shows you how to register a domain with Obior. Click Settings in the menu and choose Domains. Click the Get a New Domain button and enter the domain name you want to register. Then press Enter or click Search. If your domain is available and you are ready to commit to it, click the Register Now button. Has your domain already been taken? Don't worry! There are many ways to still claim a domain that is similar to what you want. Try playing around with the variations of different .com alternatives till you find one that's available. 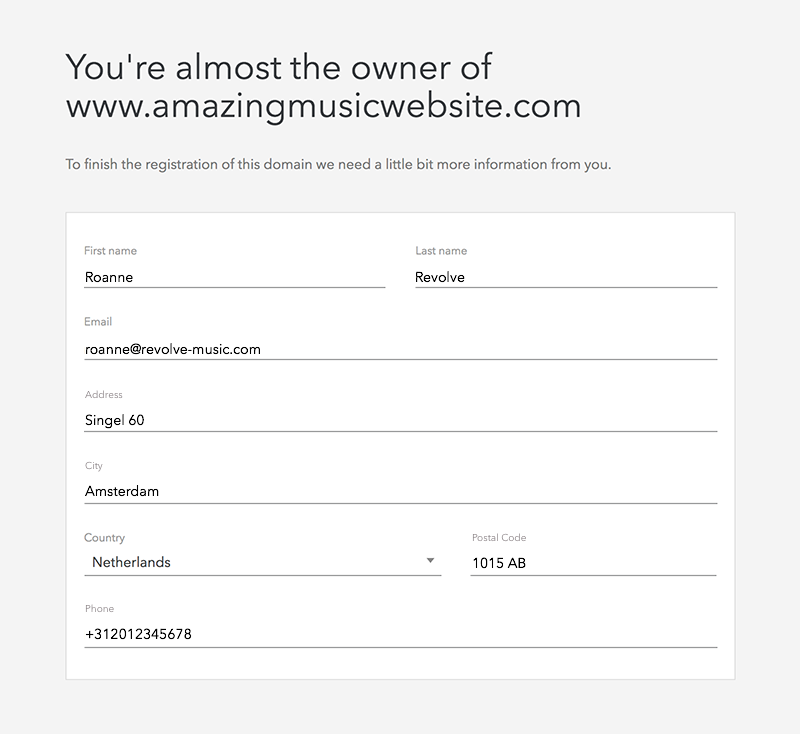 For example: If your artist name is Tiesto and Tiesto.com is already taken you can try domains like tiestomusic.com, musicbytiesto.com, djtiesto.com, tiestodj.com. You can also try out domains like .com, .net, co.uk, etc. Enter your contact information in the boxes that appear. The contact information here will be listed under the owner of the domain(s). Please review this information carefully. When you have complete the form click on the button Proceed to Payment at the bottom of your screen. Before you check out, review the domain carefully. You'll receive an email within 24 hours from us with the subject line "Please confirm your contact details for [your new domain]". The email will be sent to the address you used for registration. Click the link in this email to validate your contact information for the domain. Email verification is a very important step in this process. You must verify your domain from this email within 15 days of registration or it will be suspended. Note: If you previously verified a domain with Obior with the same email address, we may automatically verify your new domain without sending this email. Congratulations! You just registered your domain with Obior. Your new domain will display in the Domains panel. Please note it might take up to 72 hours before your domain becomes active, although most domains will work within an hour. Note: If you want your own domain to be hosted through Obior, you need to then make sure you are subscribed with either the Standard or Pro subscription.